There are several common reasons why a domain registration transfer can fail. When a domain is attempted to be transferred, an email will be sent to the listed email addresse in the domain's WHOIS. This error is reported when the current registrant/owner did not approve the transfer request for your domain. You will need to check that email address and approve the transfer. We can resend the transfer request if you get in touch with us. In order to transfer your domain, the current administrative contact must approve it. You will receive this error when the administrative contact's email listed for your domain is undeliverable/invalid. Please update the WHOIS administrative email listed for your domain. This must be done with the current registrar. We will resend the transfer request, please check that email address and approve the transfer. Your domain transfer request will fail if your domain is currently locked. In order to proceed, you must unlock the domain at your current registrar. The domain must be at least 60 days past the registration date or last transfer date. Please submit your request after the 60-day period has passed. If the registrant first or last name or the organization is updated, the domain may be locked for transfer for 60 days. A domain transfer will fail if your domain is expired. You must first renew the domain with your current registrar and wait at least 60-days past the renewal date and submit a transfer request once again. Your domain transfer request will fail if your domain is currently set to private. In order to proceed, you must disable domain privacy at the current registrar. Our affiliated registrar, Wild West Domains, has a separate set of login credentials needed to approve any incoming transfer. 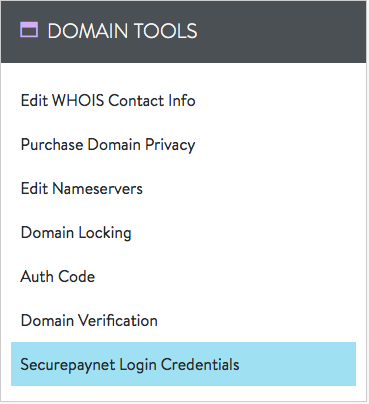 These are available in the Account Center when the transfer is still pending, by selecting Securepaynet Login Credentials from the Domain Tools menu of the domain control panel. 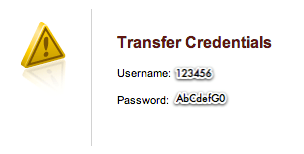 If the credentials are not provided within the period of time specified in the transfer email, the transfer will time out. If this happens, please contact us so that we can re-initiate the transfer process.